For last minute bookings, please contact us! 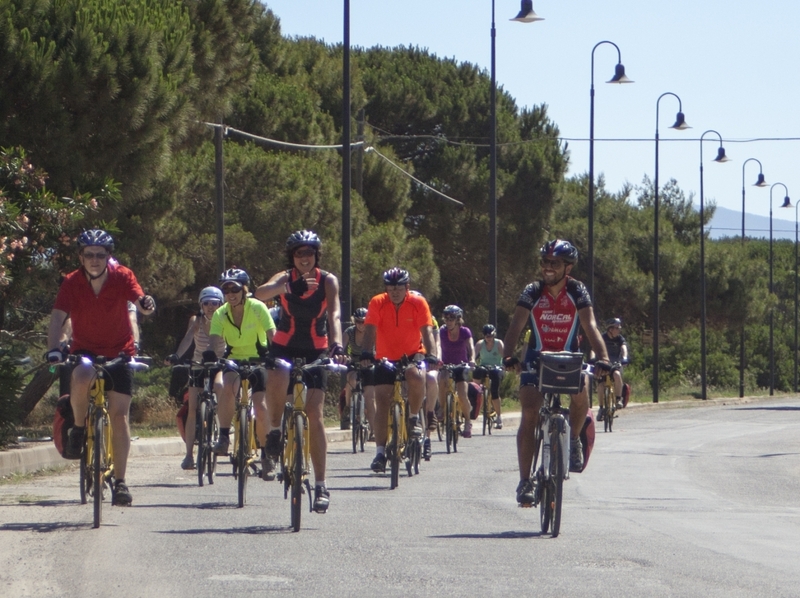 Transfer or independent arrival to our hotel in Alghero, where we get to know each other while our guides will explain the route at the welcome meeting and deliver bikes. Dinner and overnight. 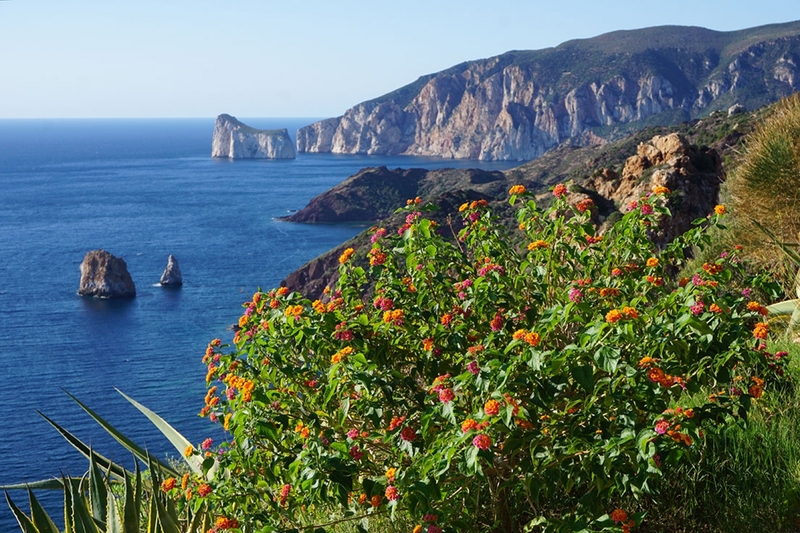 From Alghero, a splendid Aragonese (Spanish) city on the Coral Riviera, we bike along a scenic road across the cliffs overlooking the sea and we admire the view of the gulf of Alghero and Capo Caccia. Emotions continue as we catch a glimpse of the pink, red and grey cliffs of Cape Marargiu, over which the last examples of griffin vultures circle. We sleep at Bosa, a medieval town famous for its fine embroidery and gold filigree works. Today, we cycle through Flussio and Tinnura, where, as in days gone by, the women still weave their wicker baskets. 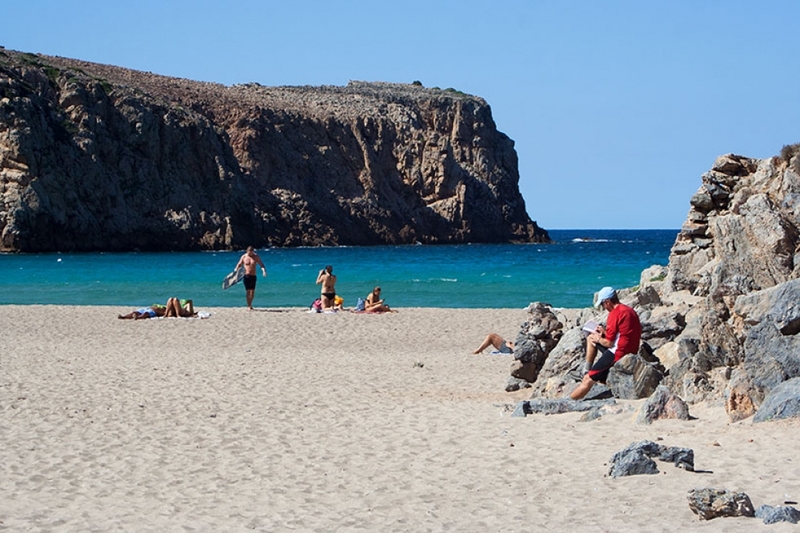 Next comes a fascinating panoramic ride down to the Sinis wetlands where you will see colonies of the pink flamingo and we finally reach one of the most beautiful spots on the island: the white quartz beach of Is Arutas. 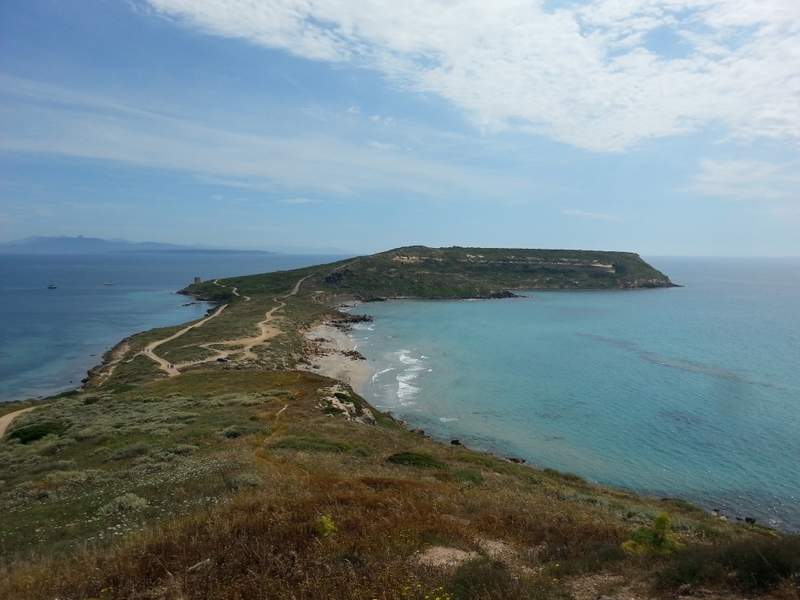 After the Phoenician ruins of Tharros, we go directly to our hotel. 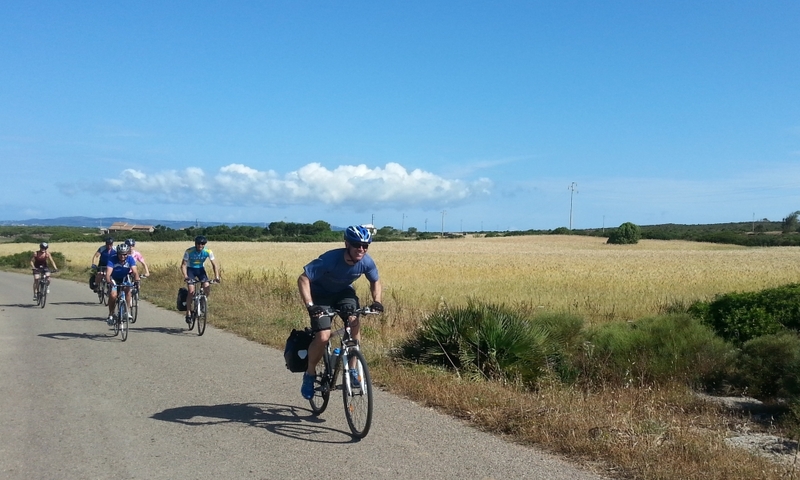 We bike through the plains of Arborea to reach the natural beauty spots of the Costa Verde, some of the most savage scenery on the island, and the Piscinas beach with its sand dunes over 50 m high - the highest in Europe. This stage takes us back into the ancient mining past of Sardinia, as we pass the fascinating abandoned mines of Ingurtosu and Masua. After the charming bay of Cala Domestica and the looming mass of the Pan di Zucchero cliff, we reach the old ore washery at Nebida: nestling in the varied colours of the Mediterranean bush, it looks out over the sea and is reached by a long climb down 540 steps. After a beautiful descent to Fontanamare, you will reach Portoscuso, and board on the ferry to Carloforte, where locals still fish the Red Tuna fish. From Carloforte, continue to the island of Sant'Antioco and end your day in Calasetta. 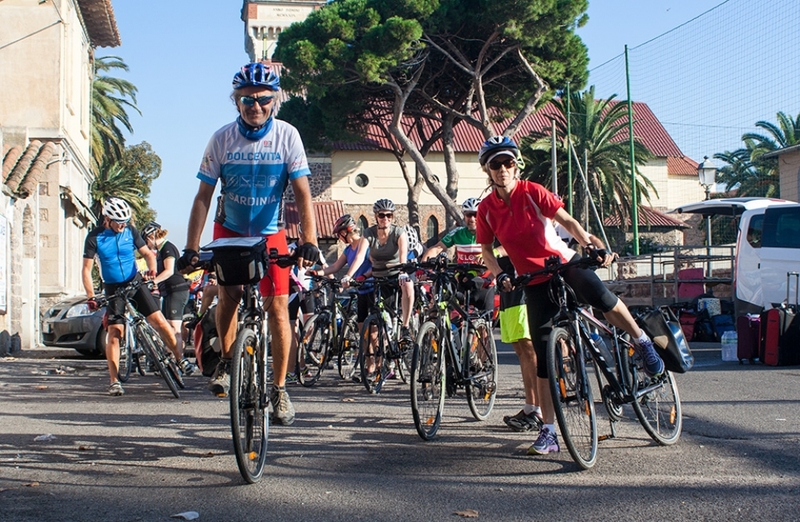 Final catwalk of our bike tour is the panoramic south coast with its gleaming white beaches, unspoilt natural landscapes and imposing cliffs: Cape Malfatano with its 16th Century tower and Cape Spartivento. At Nora we admire the ancient Phoenician settlement. E-Bike rentals must be credit card protected! We only select charming family-run accommodation where you will be able to experience the traditional Italian hospitality. Food is another thing we take very seriously, as any visitor to Italy should! We select our hotels and restaurants carefully for the highest standards of regional cuisine, so your clients can expect plenty of local delicious foods and good local wines accompanying dinners on every tour.